Steven Spielberg’s new film Ready Player One posits nostalgia and dystopia as two sides of the same coin, but fails to assert why this connection is meaningful. In the opening minutes of Ready Player One, the film’s protagonist Wade Watts (Tye Sheridan) introduces the Oasis. The Oasis is a virtual world where players can do and be anything they want, where the limits of the real world do not apply. 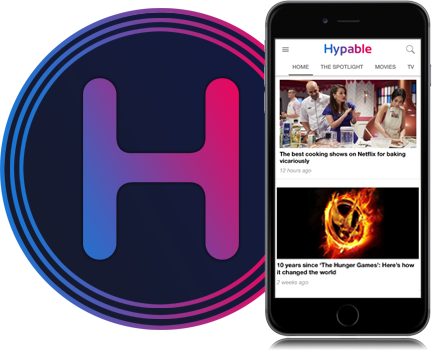 This freedom, one in which everything – from appearance to personality – can be artificially manufactured and personalized to suit your desires, provides an escape for all those coping with their real life dystopia. This dystopia is rather thinly drawn, but the film gives the audience just enough to make sure we understand what a wreck the world has become. Wade references “corn syrup droughts” and “bandwidth riots.” He lives in “the stacks” – a huge lot filled with stacks of metal trailers surrounded by piles of garbage. Wealth inequality, an energy crisis, environmental ruin, and generalized apathy have ravaged the world, leaving behind a population preoccupied with escape. While the primary function of the Oasis is to allow for users to escape, it’s even more significant where the Oasis allows them to escape to: the past. In the Oasis, players enter a virtual world that allows them to revel in ’80s nostalgia. Iconography from Back to the Future, The Iron Giant, Alien, and King Kong all make appearances in the film. References to The Breakfast Club, Ferris Bueller’s Day Off, Michael Jackson’s “Thriller” music video, and Duran Duran litter the script. There’s even an extended montage set within the world of Stanley Kubrick’s The Shining. The Oasis isn’t just an escape – it’s an escape into nostalgia meant to satiate players’ desires and provide them with a respite from their real world. 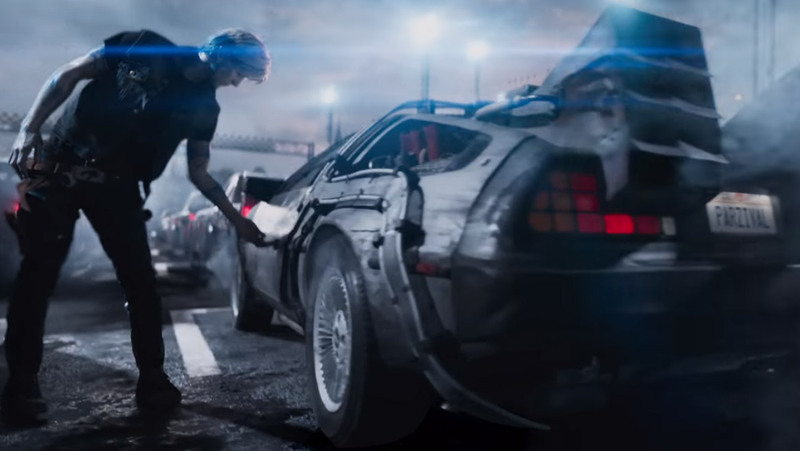 In Ready Player One, nostalgia and dystopia exist as an inexorable pair; as the dystopia worsens, the greater the nostalgic desires become and as the technology for connecting with this nostalgia develops, the greater the apathy for the dystopia becomes. 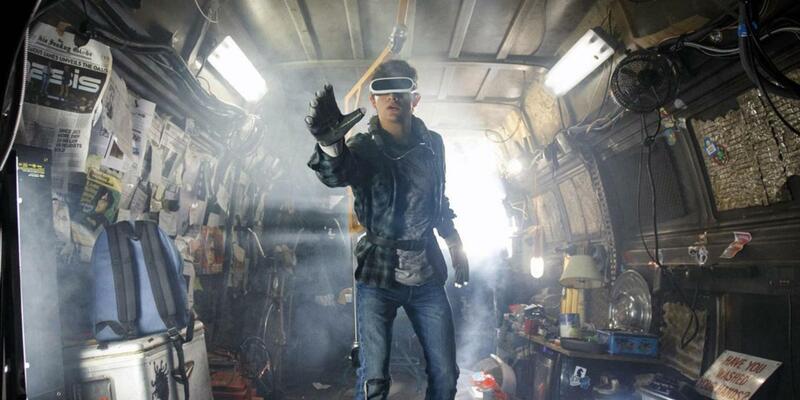 Unfortunately, Ready Player One eschews much, if any, interrogation into the relationship between nostalgia and dystopia in favor of a far more one-dimensional, palatable dramatic tension between “good” and “evil.” The crux of the film centers on Wade and his friends’ mission to save the Oasis from the hands of IOI and its owner Nolan Sorrento. 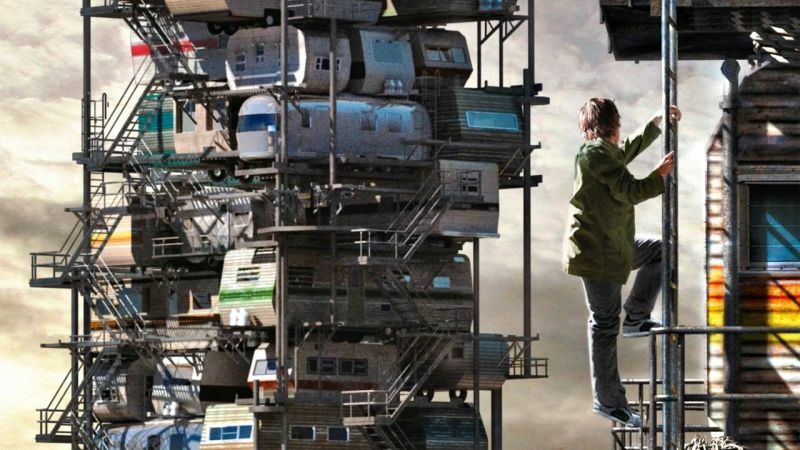 Rather than challenge the way the Oasis distracts people from attempting to change the dystopian conditions of their world, the film accepts the dystopia as a permanent state from the get go. Given that the film is framed around a contest to find an heir to control the Oasis, it’s particularly disappointing that the story makes no attempt at tying the fate of the Oasis to the world at large. There are faint glimmers of this connection channeled through Samantha (Olivia Cooke) who articulates how the Oasis can have real world consequences, but these notions are largely discarded in favor of the battle between Wade and Sorrento. Ultimately, there’s something deeply unsettling about the enthusiasm with which Wade and his friends work to save the Oasis, but remain entirely unmoved or unmotivated to save their real world. The film is only concerned with preserving the nostalgia-driven, escapist fantasies enabled by the Oasis. In the end, the dystopia is little more than a backdrop upon which to rationalize the characters’ love for the Oasis. When Wade wins the contest to become the sole owner of the Oasis, he makes the judicious choice to share the wealth with his friends. Together, they make some changes to the Oasis, including closing it on Tuesdays and Thursdays “because people need to spend a little more time in the real world,” Wade explains. As he says this, the movie cuts to Wade kissing Samantha as she sits in his lap in a brand new, expensive apartment. For Wade and his friends, winning the contest meant assuming wealth and power. Why wouldn’t Wade want to close down the Oasis to enjoy his riches? Regrettably, this ending completely avoids dealing with the substantive issues mapped out at the start of the film. In Ready Player One, the preservation of the Oasis – a tool for accessing nostalgia – is all that matters. The potentially rich connection and interplay between this desire for nostalgia and state of the dystopia never evolve beyond Wade’s initial explanation. For a movie so concerned with the future of the Oasis, there is a stark lack of regard for what will happen to the real world. In the end, the dystopia is no match for the players’ insatiable desire for nostalgia.